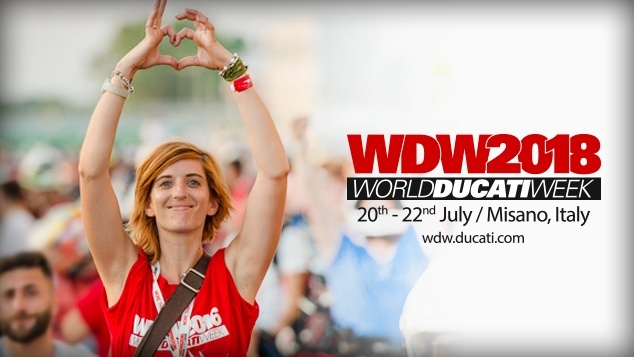 As most of you probably know by now, World Ducati Week 2018 has now been confirmed as Friday 20th – Sunday 22nd July and the location as per previous years is at Misano World Circuit Marco Simoncelli, see WDW 2018 or the Official WDW 2018 Facebook for current details. At the last WDW in 2016 the club organised half price entry tickets for over 75 members, so it was quite a turn out from the club. The 2018 event is looking to attract more club members than ever and it is being taken care of. Please bear in mind a lot of the hotels where we want to stay are currently closed. 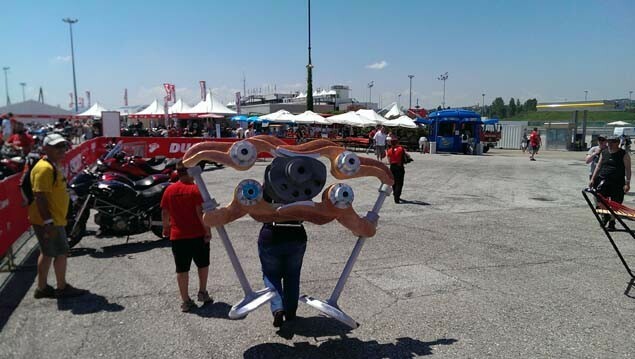 We did the 2014 event, which is the last time I went, we did the trip over 2 weeks taking in France, Switzerland, and Italy on the way down and Austria, Germany and Belgium on the way back. We had a fantastic time meeting up with members on the way down and whilst there, despite some appalling weather over the Alps on the way there and back, it was mid 30’s all the weekend at Misano, so we did dry out. There was an ‘International Village’ with areas for clubs to congregate and mix, some with food, some with entertainment. Various seminars and talks and tech stuff, a chance to compete stripping down a Panigale engine, a wheelie machine, custom bike show, Scrambler area, bike displays, stunt riders etc, food and drink and loads of bikes to wander around. 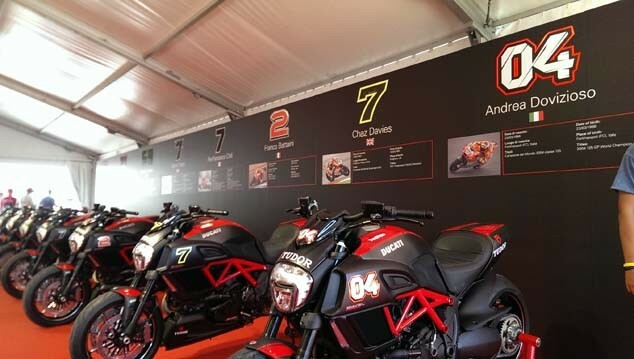 Friday & Saturday there were heats and races for the Diavel drag race between the WSB & MotoGP riders on track. 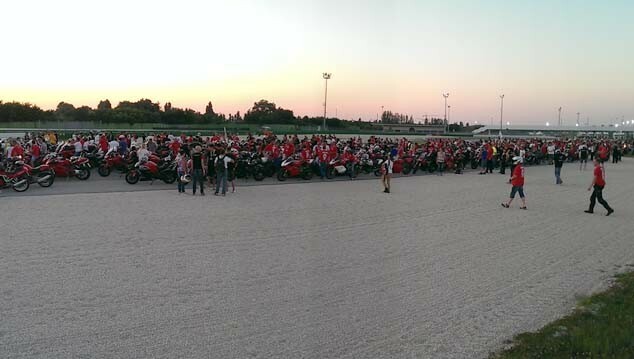 Friday night everyone, seemed like 1000’s gathered on bikes at the circuit for a parade of the track and then out through Misano and up the coast, quite a sight and sound, it was packed, and a good laugh. Track time on the circuit can be booked by ticket holders, clubs are allocated time on the track. 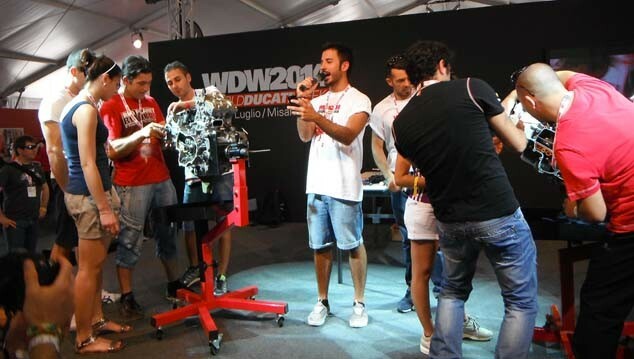 We are trying to all keep together in the same area which will be close to bar Dolce Vita in Misano Adriatico, google WDW Dolce Vita and you will see why, in the past people have stayed up to half an hour away, whilst the bar is not to everyone’s taste it gives you the passion of the clubs at WDW where the circuit is all about Ducati, their partners and of course sponsors, last edition there was a fleet track arena where you could register and race a Scrambler, thankfully no serious injury occurred to my knowledge, there was also a Multistrada Enduro DRE area, again you could go and try one of these on an off road course.